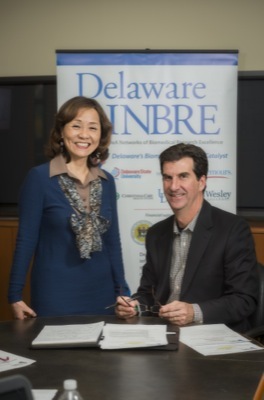 UD's Steven Stanhope is the principal investigator and Cathy Wu is the program coordinator of the Delaware IDeA Network of Biomedical Research Excellence (INBRE). 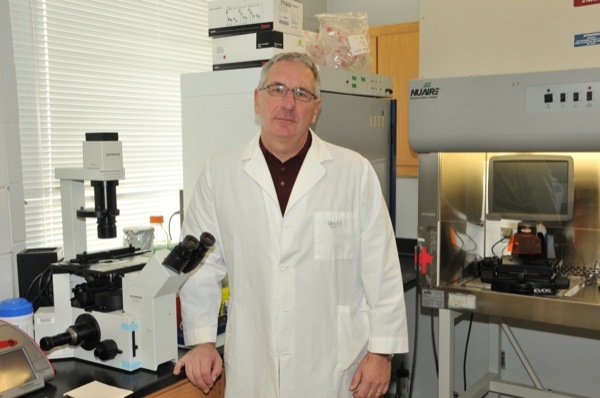 Delaware State University's Eric Kmiec has been named Delaware INBRE's research director. 1:24 p.m., Jan. 6, 2014--Leadership appointments have been announced for the Delaware IDeA Network of Biomedical Research Excellence (INBRE). This statewide program is building Delaware’s biomedical research capability by developing research in the areas of cancer, cardiovascular health and the neurosciences, providing key research resources and enhancing the biomedical science and technology knowledge of the state’s workforce.